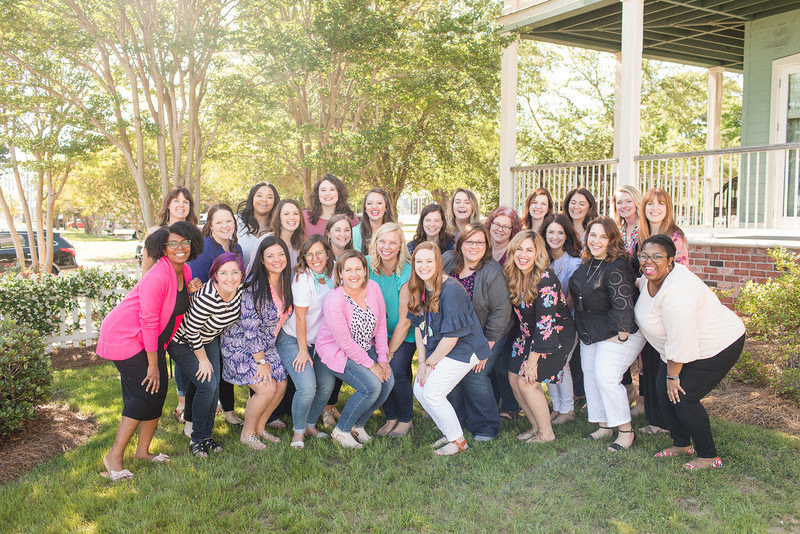 At this very moment 27 women are gathered in Pensacola, Florida in a beautiful oceanside home building into themselves, their businesses and creating strong foundations for their passions to continue to grow and support them through their creative business. I was one of those women just 6 months ago during the Society for Creative Founders Spring 2018 conference. The impact it has had and continues to have on me and my business has been huge! Building a creative business is exhausting both mentally and physically. It is often lonely and isolating working at home, out of the library and coffee shops. It feels like most people think I am just pursuing a fancy hobby and don’t quite understand what I am actually doing, why it matters and the hard work and hours that go into it. When I finally said “Yes!” to going to The Creative Founders Conference after many conversations with Kristin, the owner and leader, as well as my husband—I said yes to not only pouring into my business but pouring into myself. I was incredibly nervous to go to a house for three days with women I didn’t know, in a town I had never been to, to learn and grow a business I sometimes questioned why I was still pursuing. Walking into the The Lee House that first afternoon I was nervous and intimidated to meet all these talented ladies. Stepping into the lobby I was instantly relieved because I could feel it in everyone—we were all nervous and intimidated because we didn't know how the next three days would go! Despite where we were at in our personal businesses, we all started with fresh slates for the conference. As the hours went on and we got to know one another, connections were created and joy was a top emotion in every session and meal. It was so refreshing to be around others who understood my daily feelings about what I was doing and why I was doing it and had the same doubts and worries I battled. Though we have physically been removed from one another since the conference, the community of these women is very real and authentic. We continue to connect with one another through social media, video chats and emails. This alone was worth going to the conference! Growing and learning is necessary and you shouldn't do it alone. With such a solid group of ladies around, you will be immersed in the 6 pillars (Your Core, Your Client, Your Brand, Your Marketing, Your Money, Your Plan) of SCF with incredible speakers (who I will add sat in the session with us as peers when not teaching) who go in depth about their topic and how to apply it to your business. Like most creative entrepreneurs, I taught myself almost everything about business/being an entrepreneur I know through countless webinars, books and mostly Google. I felt the most important part of this conference was getting to learn side by side with the other women in the room. Could I have done these same topics through a book or webinar? Of course—but the benefit of sitting in a room full of others walking the same road during each session and personally hearing and learning from all the different perspectives increased the experience tenfold. With the resources of new business friends, I also left with a workbook full of notes I refer to weekly, and information that has impacted my business acumen greatly. Taking advantage of the abundance of knowledge. I often find personally I don’t know what to ask at conferences or classes when the question time comes around because I am still processing the information I just heard. Many of my questions come to me after the session is well and done. The sessions were chalk full of so much amazing information but what I found was different from other conferences was the speakers and my new friends genuinely were open to answering questions during after the session time or topic was “finished”. I never felt like I was burdening them when I would ask my questions and they always answered them with genuine, honest and full answers. Even now, as a part of the SCF online community, I know I can reach out and ask questions or bounce ideas off these friends and get thought out and encouraging answers. You will be surrounded in beauty and resources. 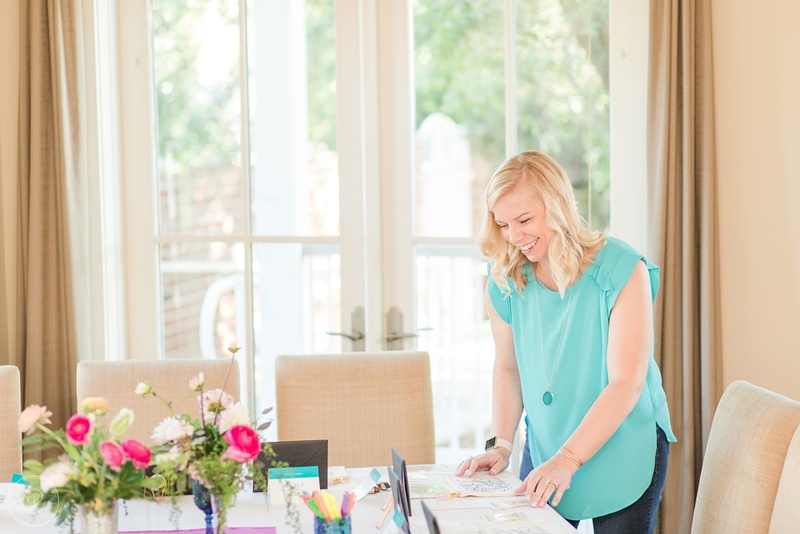 Kristin, the owner and leader of SCF, is a former event planner and current wedding invitation designer. With that in mind she did an incredible job from start to finish creating a relaxing but stimulating atmosphere in every environment we were in. From the moment we walked in the conference room the delights and surprises kept coming from each session to each session. My little designer heart was so full with the well coordinated details and the excellent use of branding! We were spoiled with goodies of all shapes and sizes. It is a true testament to the power of the SCF community wanting to build one another up and cheer each other on as we all left with suitcases overflowing with products donated from alumni who have growing businesses touched by the teachings of SCF and conference sponsors who desired to see us have the best products possible. It was a sweet reminder that there is so much room for each of us to spread our magic in the creative world. Being apart of The Society of Creative Founders and attending the Creative Founders Conference has been a key growth mark in my business and has helped me focus more on the areas I need to grow in. I left with a sense of direction, accountability partners, and friends that I love cheering on as we build our businesses side by side through the unity of being Creative Founders. Interested in seeing more of my time at the conference? Check of the conference recap for Day 1, Day 2 and Day 3. Learn more about the 2019 conference here! Plus follow along this week as they go through round two at the Fall conference on Instagram!